No More Locked Doors LLC was started in 2013. Tedarial Edwards, a Michigan native is the owner and operator. 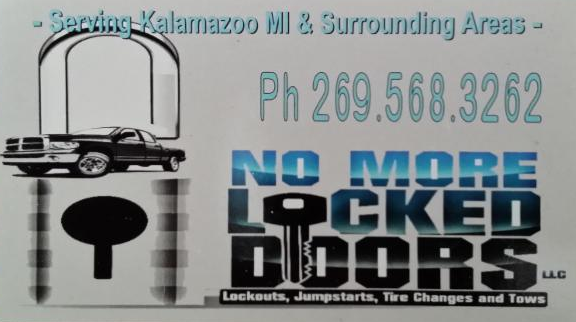 No More Locked Doors LLC works with 18 different insurance companies including Allstate, Porgressive and State Farm offering services such as roadside service, lockouts jump-starts, tire changes and tows. No More Locked Doors LLC can be reached at 269-568-3262.